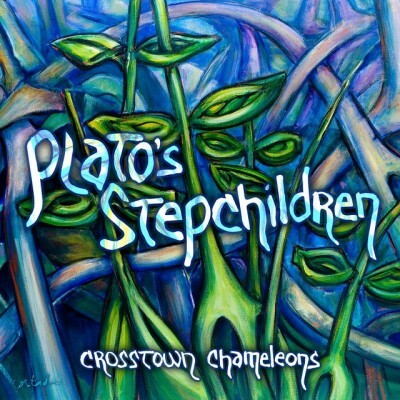 Plato’s Stepchildren is an album from Miami based band, Crosstown Chameleons. The group describes their music vaguely as being “rock oriented,” but that is actually a very apt characterization for the band’s sound, which isn’t east to compartmentalize. Plato’s Stepchildren (possibly named after the iconic episode of the original Star Trek) is very chameleon-like in that it stylistically varies from song to song, occasionally even within the song. If I had to classify it though in the general sense I would say that it has a very 90′s rock sound, somewhere between grunge and avant garde alternative. The opening track, Summer has a peppy and bright power pop feel to it. Musicians are always taught to put their best stuff first because otherwise people will stop listening. I have no idea if Crosstown Chameleons are intentionally following that advice, but Summer immediately left a great impression. It’s probably my favorite song on the album, but I haven’t made up my mind completely. The most comprehensive jam on here is Leather, which shapeshifts impressively throughout its 4 minute runtime. It begins with kind of arthouse, brooding performance art vibe and flashes to a heavier, amped up sound featuring a lot of warm guitar distortion and maximum crunch. The song continues transitioning through various styles. I’m not sure how they managed to make this collage work, but it comes out cohesive and memorable, a small masterpiece. I think this is the song which best embodies the band’s 90′s avant garde aesthetic. Hope For the Universe has more of a hair band rock sound, with epic vocals and glam guitars. The best way to describe it is it’s the kind of song that would be playing during the climactic scene in a late 80s teen movie. Earth and Sky has a straightforward, adult contemporary rock ambiance, reminiscent of works by The BoDeans or even Third Eye blind, while Blackjack has a funky, night club, rock’n’roll lounge vibe. Part of the reason the band is able to effortlessly incorporate aspects of different genres into their songs is that they appear to have achieved such a mastery over their instruments. There are so many killer guitar parts on this album, that you start to take them for granted. For example, Back to Life has some of the most colorful and vibrant guitar tones on here, and if I were writing about a different group these would be the highlight of the review, but as it is they’re just footnotes here. There are just too many interesting things happening on these recordings to mention them all. The vocalist on here is also pretty impressive. He displays a ton of versatility and range, really pushing the limit. At times, just when it seems like he’s about to bite off more than he can chew, he manages to pull back and hold steady right to the line. Overall, this album provides a very panoramic and fulfilling listening experience. It’s a worthy enterprise from some skillful veteran musicians who seem to have no shortage of darkly creative energy.